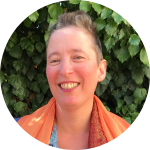 Today’s guest post is by Beth Barany. No matter if you’re a plot-driven or character-driven writer, your characters need to feel real so that your readers can connect with and care about them. If you’re pressed for time or just want to get to the essentials, I recommend these three essential characters tips. By no means are these tips exhaustive. 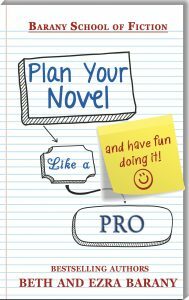 I cover many more brainstorming tools for character and for plot in our newest book for writers, Plan Your Novel Like A Pro, from which this article is adapted. Tip #1: What Does Your Main Character Want? Once the roadblocks are built, you’ll create a resolution where the character may or may not overcome the obstacle. Usually in genre fiction, you’ll create a happy resolution, but you don’t have to have a happy ending, of course. It’s your story. What kind of story goal could you have? Most good stories have two types of goals: an external one and an internal one. An external goal, as the name states, is something outside your character, a tangible that could be anything from getting a job done to saving the world. Most importantly, this external goal needs to be enough of a challenge to carry your story, perhaps coming from your character’s yearning, and it needs to be relevant for your genre. For example, in the third book of my epic fantasy series, Henrietta and the Battle of the Horse Mesa, I needed to create a big goal for my main character that befitted the final book in a series. But first, she had an initial goal: to return a six-year-old boy to his mother, even though a multi-kingdom war was brewing. Henrietta’s bigger goal was to decide whether or not she should lead the army, and if she decided yes, then she had to figure out how to do that. Your main character also needs an internal goal. This is an internal experience to your character. Perhaps your character wants respect, admiration, or to love and be loved. The internal goal usually reflects a deep need all humans desire. Knowing what this is and coming up with ways you can manifest this in your character’s circumstances will connect readers to your character. For example, Henrietta the Dragon Slayer is not that deep a thinker, but she does want respect. Most importantly, she wants freedom. In fact, she has two competing internal desires—for freedom and to do the responsible thing. These competing internal desires are one of her big challenges. I’ll get to challenges in a moment. In your story, what does your character want? Once you know your character’s goals, then you need to know why she wants what she wants. This will help you create a three-dimensional understanding of your character and your story. Tip #2: Why Does Your Character Want What He Wants? When getting at what drives your characters to want what they want, their motivation, I find it works best to interview them. With each new reply, ask again, “What will having that do for you?” until you get to what feels like the core of his desire, his core motivation. I discovered she felt a sense of obligation. Henrietta’s reply: She won’t be treated like a mother anymore and no longer will have this little boy hanging on her. She’s a seventeen-year-old warrior woman, her whole life in front of her. Time enough to be a mother later, much later. I kept asking, “What will having that do for you, once you’re relieved of this pretend motherhood?” I discovered under that was a belief she had about herself: “I could never be a mother.” Now I understood that she was driven by a rejection of the possibility of motherhood. Underneath that, I discovered her sadness, that she really would love to be a mother and would love to have a family. But because she was a warrior, she didn’t think it was for her. She’d created a rule for herself she couldn’t break. Just by asking this question again and again, “What will having that do for you?” you can uncover complicated juicy material that motivates your character. This kind of complexity helps make your characters feel real to your readers. When you ask, “What will having that do for you?” notice that the replies come from your subconscious where all our stories reside. So far, we’ve talked about your character’s goals and what motivates her to want those goals. Our first two essential character tips. The third essential character tip is about conflict. I approach conflict in an atypical way because I’m a character writer. This question helped me uncover possible conflicts for my characters. If you know what scares your character, then you can incorporate that into your story as conflict. Here’s how you can use it: Write the numbers 1 through 20 on your page. Then set a timer for ten minutes, usually a good amount of time to complete this exercise. Next, list all the fears that your main character has. Just move the pen across the page or fingers across the keyboard. It’s okay if you repeat things. It’s okay if there’s no discernible order. Just write, write, write. In doing this exercise, what I discovered is that my brain organizes my character’s fears in order of normal, or obvious fears, to deeper and bigger fears. The first time I did this exercise, I was super happy and very surprised because I had discovered a way to create a story outline. One of her fears was that she would lose Franc, her companion. At the beginning of the story, they were traveling together, so it was an obvious fear. She cared deeply for him and didn’t want their companionship to end. What if something bad happened to him? I got excited when this fear came to me. Losing Franc could occupy a whole section, maybe even the whole book. Ideas about what she would do if she lost Franc came tumbling in. Some other ideas I uncovered: She was afraid of being under the thumb of anyone in authority, so what if she had to ask someone in authority in this new territory for help? That would make finding Franc harder. Good! That’s what we want for our characters—for things to get worse before they get better. She was afraid of looking stupid because she was a smart-mouth. She was in a territory she didn’t know. Everything in her environment could cause her problems. By the time I finished my List of 20, I had plenty of problems to fill out my story, all based on Henrietta’s fears. Brainstorm to uncover each of your main characters’ inner and outer goals, inner and outer conflicts, plus corresponding motivations for each goal. What will you uncover about your characters when you brainstorm their goal, motivations, and conflicts? Let me know! And happy writing! 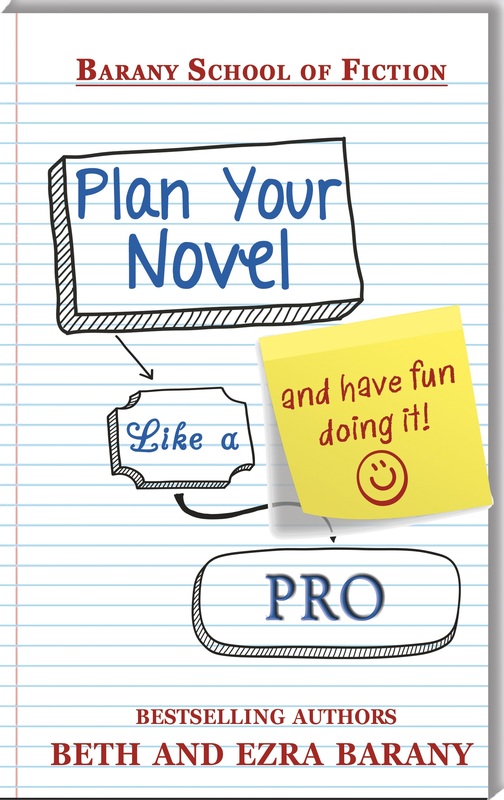 Note from C. S.: Want to learn more about crafting terrific characters? Take Beth’s online video course. Enroll HERE! Award-winning fantasy novelist, Master NLP Practitioner, and certified creativity coach for writers, Beth Barany runs Barany School of Fiction, a full suite of courses designed to help genre fiction writers experience clarity and get writing, so they can revise and proudly publish their novels to the delight of their readers. She’s also the author of books for writers, including Plan Your Novel Like A Pro, cowritten with her husband, thriller writer Ezra Barany. Connect with Beth via her blog, Writer’s Fun Zone or on Twitter: @Beth_Barany.